Removing the risk of ice before, during and after the storm. At Brancato Snow & Ice Management, we offer a full complement of commercial Chicago ice management services for northeastern Illinois customers, including 24/7 zero-tolerance ice removal throughout the winter season. Do you want to know the difference you get with professional commercial ice management services from Brancato? We attack the problem before, during, and after the storm. Your business cannot afford to have someone just dump salt after an ice storm. 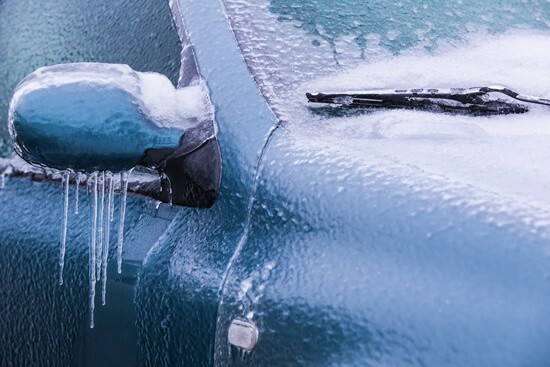 We will start treating your property before the ice hits, we will be there as much as necessary during the storm, and we ensure your property is safe when the ice storm is over. This is the level of service you need for true ice removal and ice management to keep people safe and insurance bills low. Commercial Ice Management and More! Our ice management professionals are prepared for plowing, de-icing, and ice removal in any context: parking lots, grocery shopping areas, walkways, sidewalks, driveways, medical facilities, movie theaters, industrial lots, and office buildings. We proudly serve Chicago and the Greater Chicagoland area. Just give us a call for a free quote on our commercial ice management solutions and our complete lineup of winter services!